Eustace provides innovative and effective solutions to the ever-changing issues facing our most valuable natural resource. From stormwater management design and best management practices to hydrologic modeling, flood studies, environmental permitting and sanitary sewer design, Eustace provides its clients the expertise and ingenuity to meet their needs while being good stewards of the environment. Our team prides itself on keeping up to date with constantly evolving regulations and cutting-edge practices. This enables us to develop the best project solutions to environmental challenges facing stormwater management, wetlands, development impacts, and the many other aspects required to maintain and protect water as a regional and global resource. We are experienced in water resource design including city projects utilizing newly-emerging green street technologies, suburban and institutional projects featuring green infrastructure improvements, and multi-acre development sites requiring environmentally conscious regional stormwater management and sanitary sewer network design. Eustace is well-versed with the permitting process at the local, municipal, county, state, and federal levels as it relates to stormwater, wetlands, streams, dams, flood studies, stream modeling, and sewage planning. 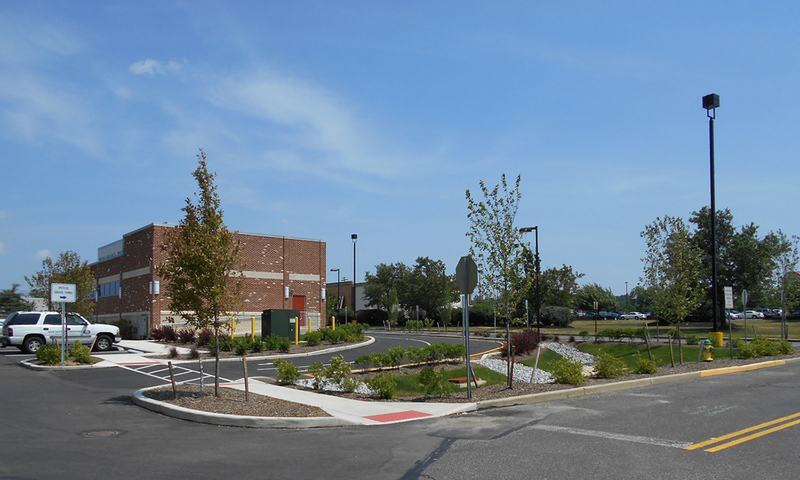 At the request of the City of Philadelphia, we continue to provide expertise in regards to evolving stormwater regulations and permitting processes.